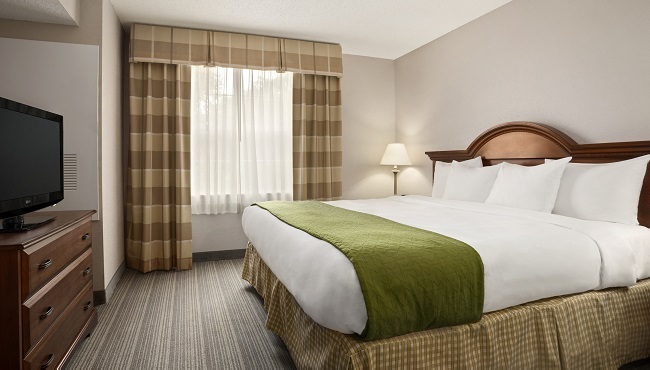 Get a good night's sleep at the Country Inn & Suites, where every room and suite comes with cable TV, free high-speed Internet access and a free weekday USA TODAY® newspaper for relaxing entertainment. 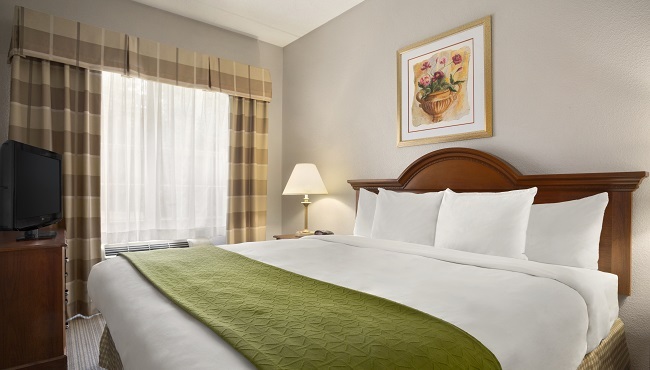 After a tour of the UNCC campus or a day of meetings in downtown Charlotte, you can unwind in your room with a cold beverage from your in-room refrigerator. 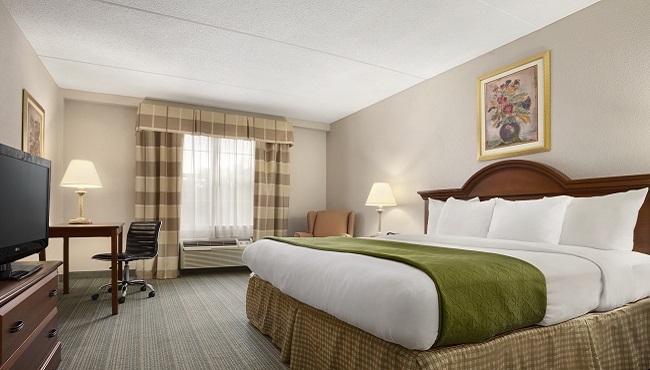 If you're traveling with children, take advantage of the hotel's free stays for children 16 and under. 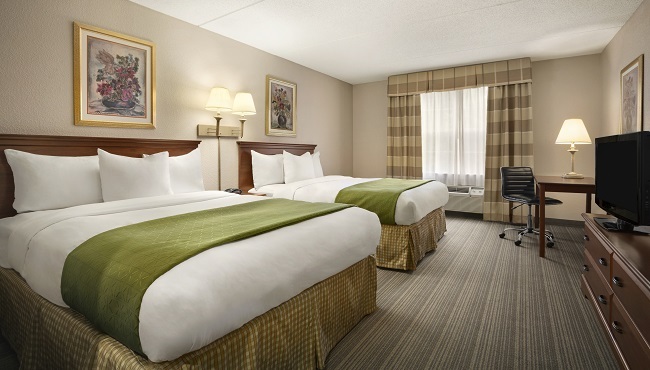 With your choice of either a king bed or two queens, these standard guest rooms are ideal for lone travelers or when you’re interested in sharing travel expenses with a friend. Need extra space for the children? 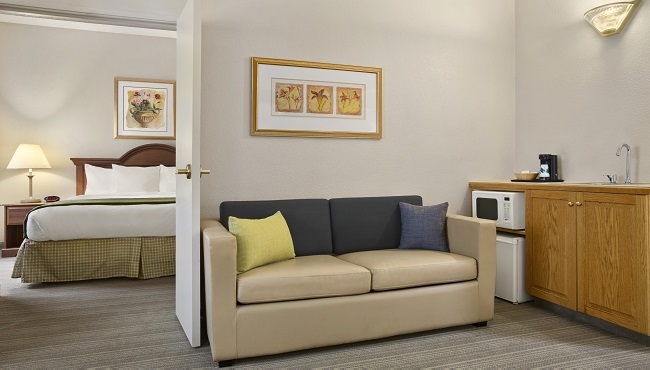 These suites come with a separate living area with a sleeper sofa and include all standard amenities. Make a special getaway even more meaningful with a stay in a Whirlpool Suite. 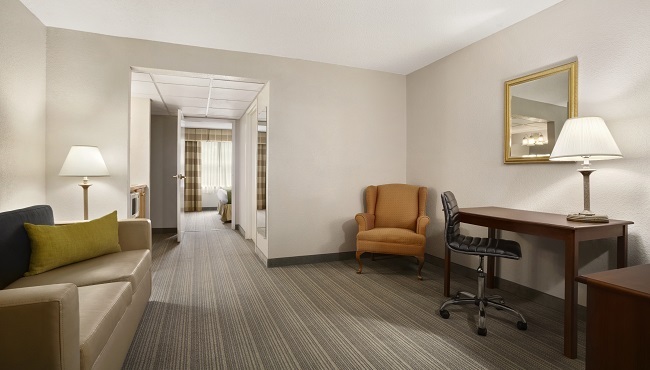 The spacious floor plan features an in-room whirlpool tub and all standard amenities.